Try one of ten new exciting scenarios. 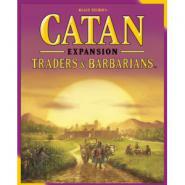 Designed for 5-6 players, it adds even more drama to the award-winning game of seafaring, exploration, and trade. 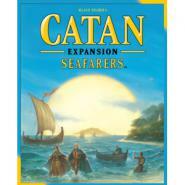 You must have The Settlers of Catan board game and the Seafarers expansion in order to use this extension. 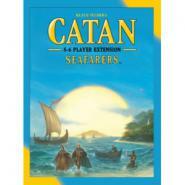 Now 5 to 6 players can explore Catans wild, unknown seas in search of fish, spices, or rich new lands for settlement! 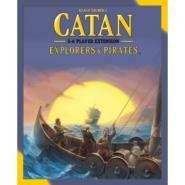 This Catan: Explorers & Pirates 5-6 Player Extension allows you to add 1 or 2 new opponents without sacrificing ease of play. 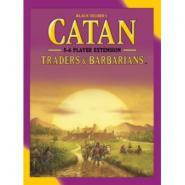 In The Seafarers of Catan you control a group of seafaring settlers exploring and taming the uncharted Isles of Catan. Embark on a quest to settle the island, build ships, and chart the nearby waters. You can now play with just two players! Add a harbormaster, a friendly robber, or special events. Play with a wealth of new wooden pieces and capabilities. You can even link your games to create an intriguing campaign.